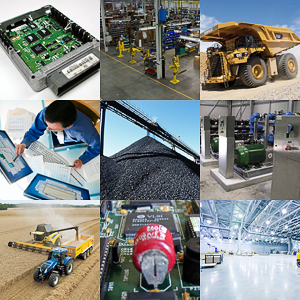 Do you have a need for custom electronics or software, or a new piece of equipment? Have you been frustrated in trying to solve a problem using existing technology solutions that either don't work properly, or don't work at all? Do you need to automate or modernise a process and are not sure where to start? Today, more than ever, businesses need to be technologically up-to-date in order to stay competitive. In a progressively complex world, the pace of innovation is increasing and the range of options facing a business can be overwhelming, and at times, bewildering. Business is about keeping operations moving smoothly and efficiently. Finding the way to move forward can be a complex puzzle. This is where Plexus Technologies can help: we've been providing custom solutions to a diverse range of clients since 1989. We've helped clients in the automotive, educational, medical, computer peripheral, industrial control, mining, fast food, travel, and information display segments, just to name a few. When some people hear the term, custom hardware and software design, it might not be immediately obvious that this is what they need to solve their problems. Think about it for a minute, though: practically every piece of equipment in use today has some form of electronics behind it, whether it's an air-conditioner, an elevator, a water tank pump, or a drilling jig. Electronics is interwoven into every aspect of our lives today, so the chances are very high that if you have a problem that needs to be solved in your industry, it'll be solved by using some aspect of what is loosely called, "electrotechnology". And that's where we come in. They don't have enough engineering resources for their project. They need a hardware or software change due to an obsolete component, product, or system. They're a startup and need help to implement their design. They're doing a product line refresh and have insufficient engineering resources. They want to contract out engineering elements of their projects. They need help with documenting their product requirements. Electronics is not their core business, and need a quality engineering partner. They need sensing, touch interfaces, embedded systems, etc. but don't know how to do it. We believe that near enough isn't good enough. We believe in thinking differently. The way we solve your problems is by making our solutions well-designed, simple to use, and user friendly. If you want total control over every aspect of your business, then talk to us.